CA ANALYTICS is the local desktop application for Audi developers/engineers and repair shops. 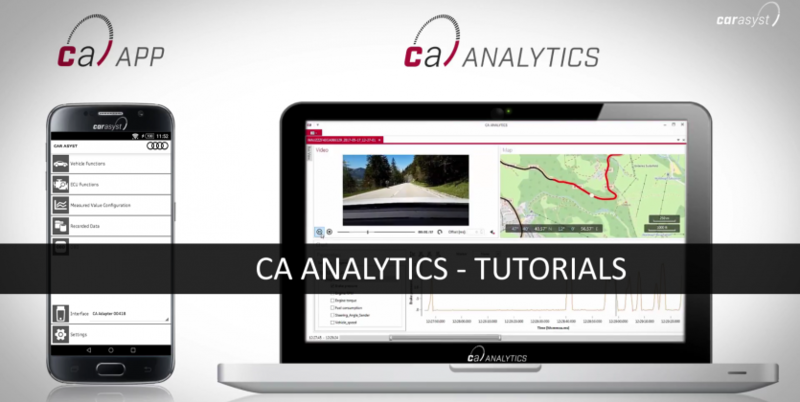 CA ANALYTICS allows synchronized evaluation of ECU data, GPS route information and video data. Data recorded on the road with the CAR ASYST APP can conveniently be analyzed and evaluated with CA ANALYTICS in the desktop display on the PC. You can also see the fields of application of CA ANALYTICS in the video “CA ANALYTICS – Testdrive & Synchronization of the CAR ASYST APP for Audi“. Further information on CA ANALYTICS can be found here.